The OnePlus 6 and 6T grabbed the ninth and sixth place in the top 10 in terms of Antutu benchmarks for November. However, the Kirin 980 allowed Huawei to bag all top 3 rankings, and the Honor Magic 2 to come in fourth. The rest of this list was made up by Snapdragon 845-powered devices. The 7-nanometer (7nm) Kirin 980 processor made its presence felt on the rankings composed by Antutu based on the average benchmark scores for devices tested in November 2018. 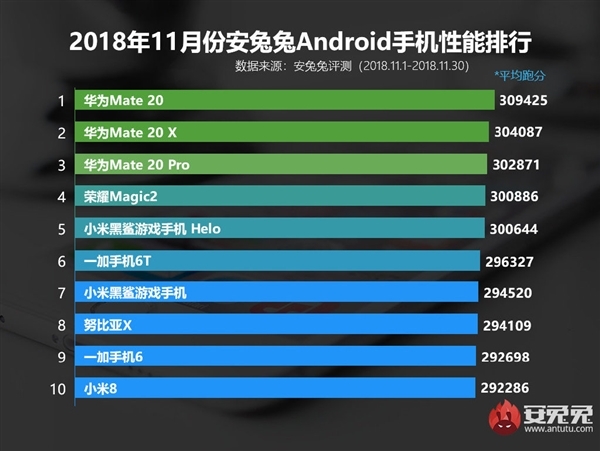 The 980's next-generation power meant that the Huawei Mate 20, Mate 20 X, and Mate 20 Pro got the best, second best and third best scores respectively. It is interesting to note that the Mate 20 topped these rankings and not the gaming-focused 20 X or more expensive 20 Pro. The Honor Magic 2, which is also powered by the Kirin 980, hammered home the chip's current superiority by taking fourth place in this monthly chart. The remainder of the top 10 was exclusively made up of Snapdragon 845-powered phones. They included the Xiaomi Black Shark and Xiaomi Black Shark Helo (a variant with 10 GB of RAM); the Nubia X, Xiaomi Mi 8 and the OnePlus 6 and 6T (which are essentially the same device after all). 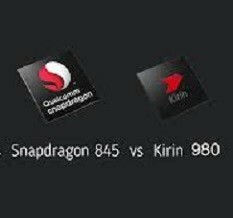 It will be interesting to see if the newly-released Snapdragon 855 can disrupt the Kirin 980's apparent hegemony, and if so, how effectively. Futhermore, Samsung's Exynos 9820 may also be here within a few months to challenge the 980 for the mobile processing crown. Until then, the original 7nm chip should have an excellent run in the world of benchmarks and their scores.